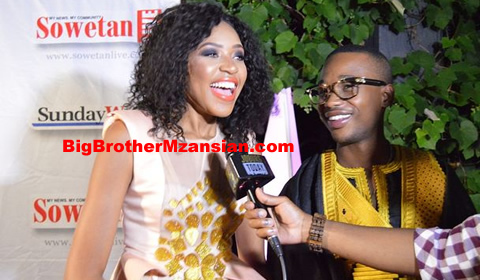 It's been just over three months since reality TV stars Blue Mbombo and rapper K2 shocked fans with news of their split. Blue released a statement on social media [Read More On That Here]‚ explaining that she and K2 had split months before the public announcement. While Blue was reluctant to reveal the reasons for their split‚ she did say that it was amicable. Speaking to TshisaLIVE recently Blue said that their breakup was still a sore point for her. “It’s still very sad. Everyone is always asking me where’s K2. We also stayed together so sometimes I get lonely‚” she said. Blue added that despite their split she didn’t know what the future had in store for them. “All I know is that I loved K2 with all my heart‚ I still love him. And I know he loved me and probably still loves me. I mean we still talk now and then because if its love it just doesn’t go away overnight‚” she said. In the meantime Blue has been focusing on her career which has flourished over the past year and she has big things in store for 2017.